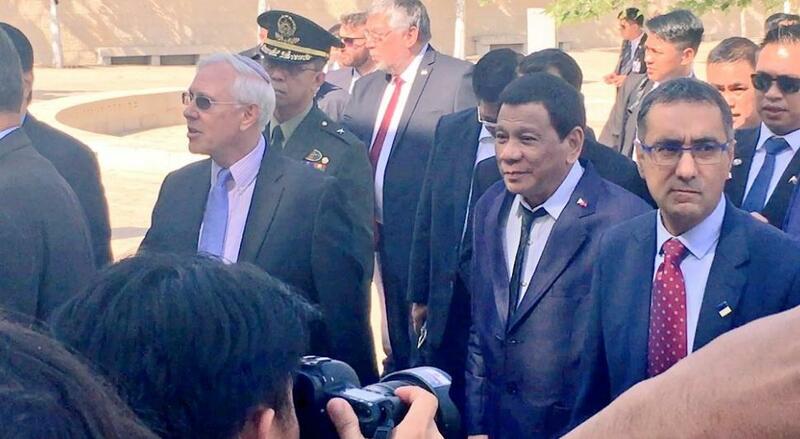 Top Israeli newspaper called Haaretz recently released an editorial that coincided with Philippine President Rodrigo Duterte’s visit to the Holy Land. The popular media outlet describe President Duterte as an admirer of war criminal Adolf Hitler who executed millions of Jews. But more than that, they described the Philippine President as an unwanted guest. The title of the editorial is “A Hitler Admirer at Yad Vashem”. It was back in October 2016 that the president said that his war on drugs was the same with Hitler’s genocide, and added that he was happy to slaughter the three million drug addicts in the country. “Hitler massacred three million Jews ... there’s three million drug addicts. There are. I’d be happy to slaughter them,” Duterte said. “Israel has never been choosy in its international relations. In fact, it has an impressive record of relations with dubious regimes and leaders, and its weapons sales to the very worst regimes have been previously reported. 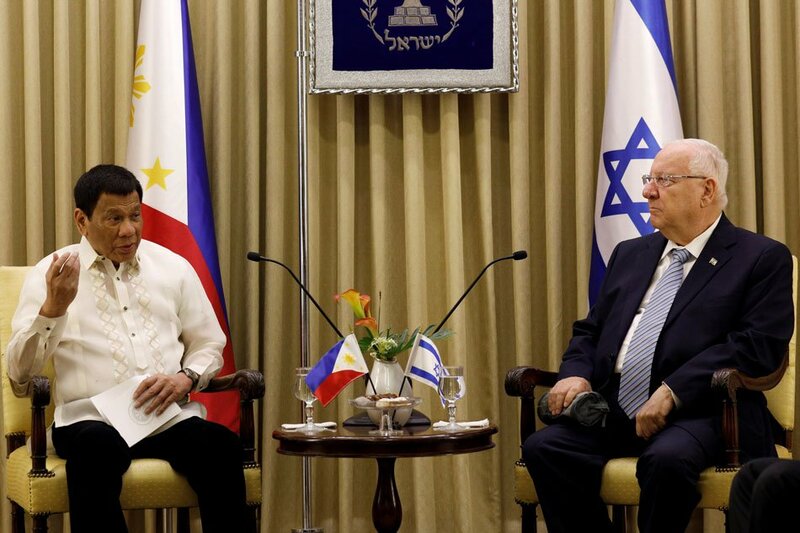 Under the shadow of Duterte’s visit, Israel once again proves it's willing to overlook leaders' human rights violations for the sake of opportunities for arms deals and defense contracts,” said the media outlet in their editorial. They also specifically said that Duterte’s presence in Israel was a “shameful diplomatic stain”. In addition to this, they also called out their own government, saying that they are just very willing to associate themselves with people who have been accused of violating human rights and due process. The editorial viewed Israel's decision to "roll out the red carpet" for Duterte as an something done in exchange for a mess of pottage which includes abstaining or supporting Israel in a few UN votes, thus giving Duterte an absolution for his anti-Semitic remarks. 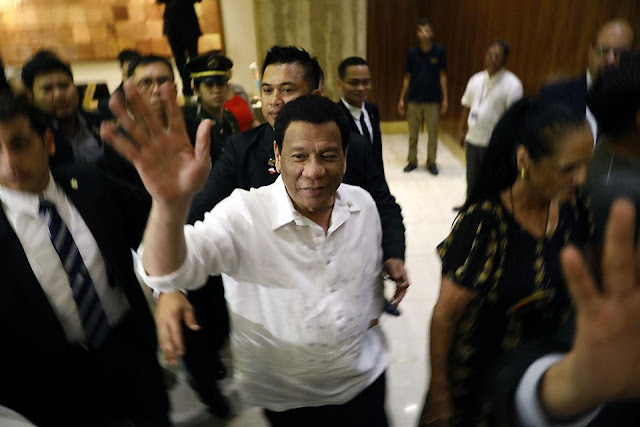 “Duterte has been accused of human rights violations in his own country under the cover of his war on drugs and organized crime, which has presumably included 'social cleansing' operations and the murder of thousands of people without a trial. The man who compared himself to Hitler, boasting that he’d be happy to slaughter each and every one of the millions of drug addicts in the Philippines, will, as is usual on such visits, tour the Yad Vashem Holocaust remembrance center, and also a memorial in honor of Filipinos who saved Jews during the Holocaust,” it said. Aside from Haaretz, the Times of Israel also showed their detest towards Duterte’s visit, also mentioning the president’s remarks about his likeness to Hitler, and the preliminary examination the president is facing in front of the International Criminal Court in regards to the alleged Davao Death Squad. "Duterte will land in Israel on Sunday night — professing friendship, seeking weaponry. This man has no place here," the editorial read.